Bill Gates: Opoc technology may be a stepping stone in advancing affordable, low-emission transportation. DETROIT -- EcoMotors International has received $23.5 million from Microsoft Corp. Chairman Bill Gates and investor Vinod Khosla for engineering and testing of its trademarked Opoc engine technology. EcoMotors said in a statement today that the investment marks a key advance in commercializing its opposed piston-opposed cylinder engine. The engine maker plans to use the funds for completing testing and building demonstration units. Further details about the funding have not been disclosed. EcoMotors CEO Don Runkle said it is terrific to have the support of prominent investors. He also said EcoMotors' engines will be built in Michigan because of the state's resources and talent. Runkle is a former executive of General Motors and Delphi Corp.
EcoMotors, based in suburban Detroit, says the Opoc architecture allows its opposed piston-opposed cylinder engines to use 50 percent fewer parts than standard engines, while providing 50 percent more fuel efficiency. Runkle says the company is working on its sixth-generation engine and the new funds may be used for the next engine configuration. 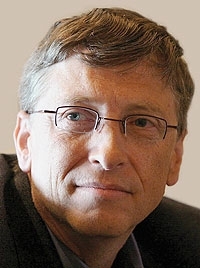 Gates, also co-chair of the Bill & Melinda Gates Foundation, said in a statement that the technology may be a stepping stone in advancing affordable, low-emission transportation. Khosla co-founded Sun Microsystems in 1982 and was a general partner of the venture capital firm Kleiner Perkins, Caufield & Byers in California. In 2004, he founded venture capital firm Khosla Ventures of Menlo Park, Calif., to invest in various green technologies. The firm owns 47 percent of EcoMotors. Opoc was conceived by Peter Hofbauer, former head of powertrain development at Volkswagen AG and now EcoMotors' chairman and chief technology officer, the company said. Hofbauer designed the VW high-speed diesel engine that became the foundation for the clean diesel engine used in the Jetta and other VW vehicles, EcoMotors said. Securing “Series B” funding from two prominent investors represents a major advance in the global commercialization of the opoc® technology. TROY, Michigan, July 12, 2010 -- EcoMotors International CEO Don Runkle announced today that the Company has secured substantial Series B funding – sufficient to complete engineering and testing of the opoc® engine. The two exclusive investors in EcoMotors' Series B are Khosla Ventures of Menlo Park, California and Bill Gates. The two principals, Vinod Khosla and Bill Gates, indicate their stakes in EcoMotors reflect a shared belief in the global potential of the opoc® technology and the impact it can have on transportation emissions because of its cost effectiveness. High Efficiency: The unique enginearchitecture – which offers true modular displacement capability — delivers up to 50% greater fuel efficiency compared with conventional engines of similar output, along with a corresponding reduction in greenhouse gas emissions. Half the weight and half the size of conventional engines: Theopoc® engine provides unparalleled power density and flexibility in automobile and truck design as well as other engine applications. Low Cost: With50% fewer parts than a conventional engine, the opoc® is less expensive to manufacture, to purchase, to operate and to tool up. Established in early 2008, EcoMotors is quickly achieving critical mass in terms of changing the landscape of internal combustion power. Based in Troy, Mich., EcoMotors is commercializing the unique opoc® engine for use in cars, light trucks, commercial vehicles, aerospace, marine, agriculture, auxiliary power units, generators, etc. Anywhere conventional gas or diesel power is currently utilized, opoc® represents a better propulsion solution. EcoMotors is led by Don Runkle (Chief Executive Officer) and Prof. Peter Hofbauer (Chairman and Chief Technical Officer). opoc® was conceived by Prof. Peter Hofbauer – who formerly as Head of Powertrain Development at VW designed the original VW high speed diesel engine that became the foundation for the Jetta Clean Diesel that won 2009 Green Car of the Year honors. Don Runkle, as former VP of N.A. Engineering at GM, spearheaded the GM EV1 electric car along with countless other innovations. EcoMotors is a Khosla Ventures portfolio company. Khosla Ventures offers venture assistance, strategic advice and capital to entrepreneurs. The firm helps entrepreneurs extend the potential of their ideas in breakthrough scientific work in clean technology areas such as solar, battery, high efficiency engines, lighting, greener materials like cement, glass and bio-refineries for energy and bioplastics, and other environmentally friendly technologies as well as traditional venture areas like the Internet, computing, mobile and silicon technology arenas. Vinod Khosla founded the firm in 2004 and was formerly a General Partner at Kleiner Perkins and founder of Sun Microsystems. Khosla Ventures is based in Menlo Park, California.